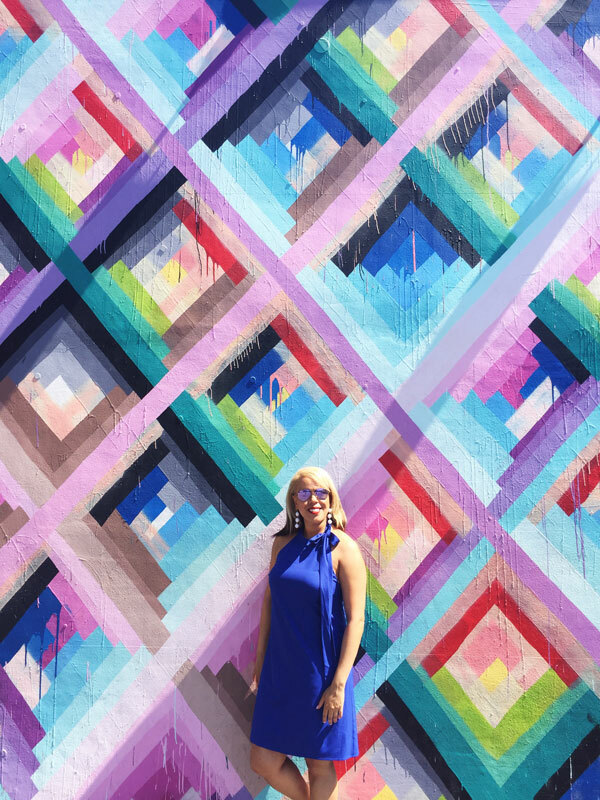 The Wynwood walls is something I've wanted to see for a few years now. 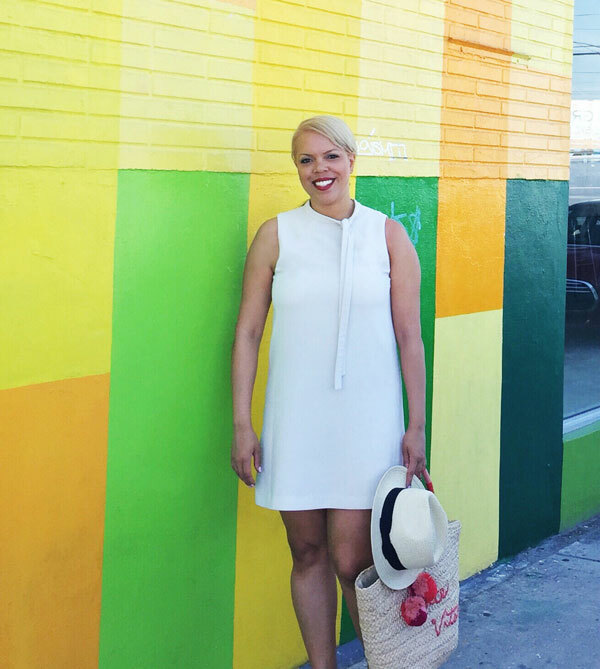 One morning, I ditched the beach and wandered around Wynwood where everything is art. 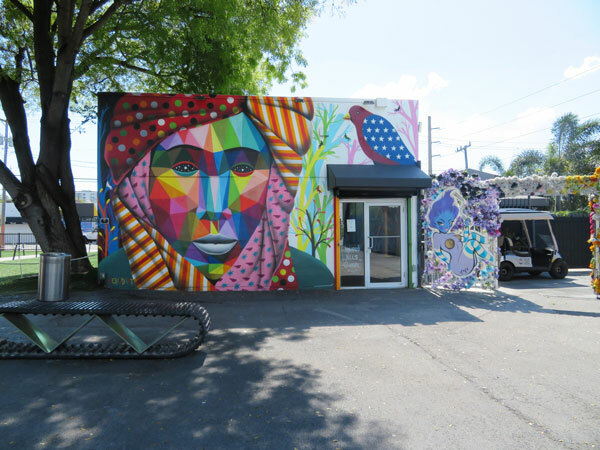 Wynwood was once an unsafe warehouse district in Miami that has been transformed into an outdoor mural gallery with amazing artists from around the world that change frequently. It’s turning into one of the hippest areas, although still pretty empty during the day so not totally safe as I was informed by a local. 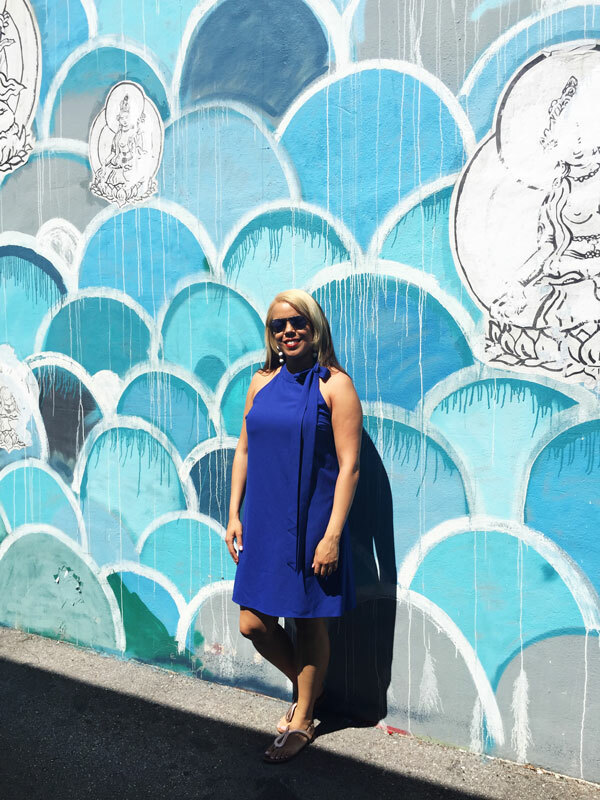 The graffiti covered warehouse district has lots of artist studios, art galleries, museums, schools, an independent film cinema, fitness studios, an indoor machine gun range, fashion retailers, and a furniture store just to name a few. 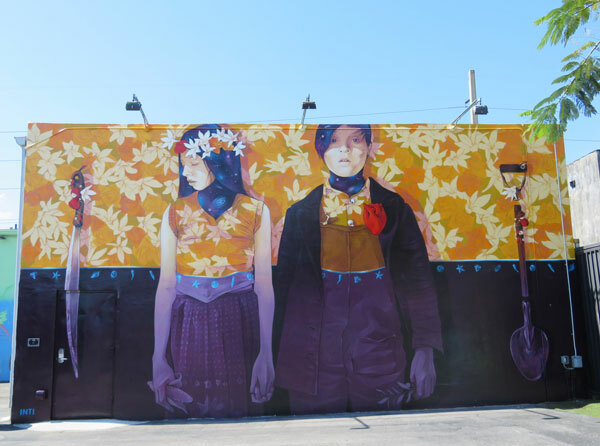 My favorite mural in all of Wynwood is by Maya Hayuk (pictured above). I love the colors and patterns! 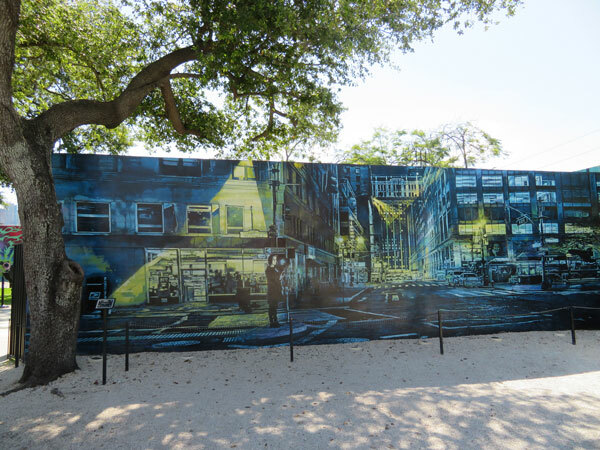 Wynwood Walls starts off in a gated area where you will see a concentration of many murals in one area. There was also security on hand so that tells you something. The gates don’t open until 10:30am. 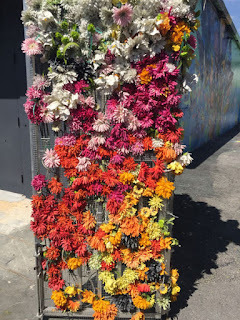 Wynwood has a few eaters in the area. 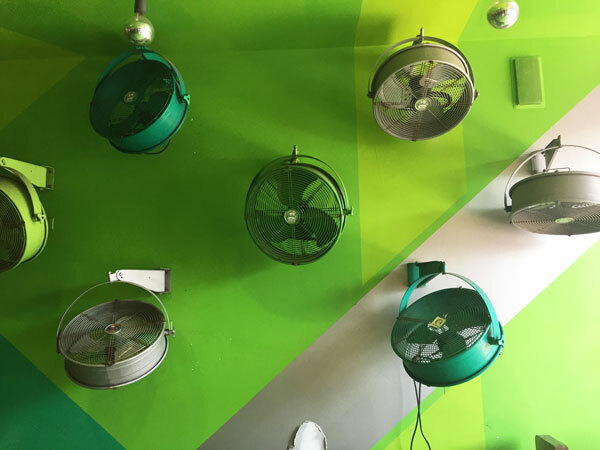 Connecting to the entrance is Jugofresh where I stopped for some green juice for breakfast and saw this green wall of fans. For lunch I went to an outdoor food truck area to Della's Test Food Kitchen for some delicious healthy plant-based food. 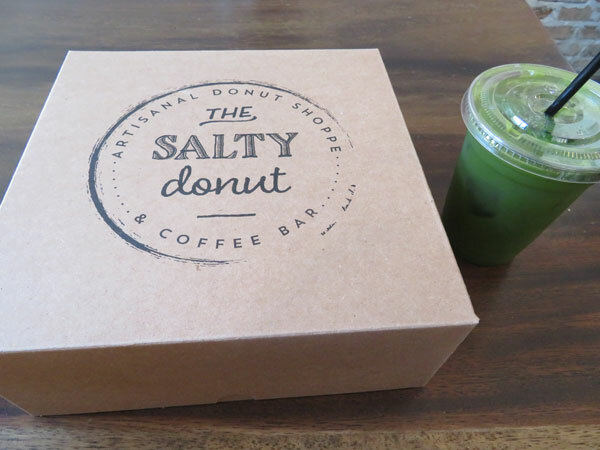 I had to get the best donuts in Miami at the Salty Donut. 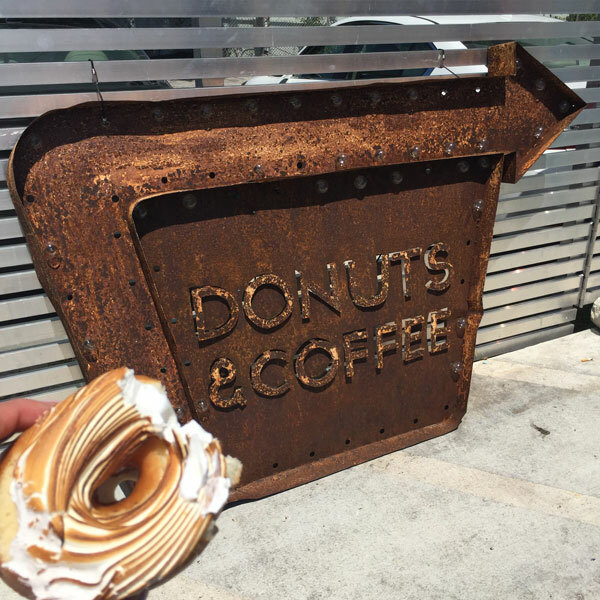 They have delicious matcha lemonade and tres leche donuts. You’ve never seen innovative donuts like these! They usually sell out by early afternoon so get there early. Here I'll share some of my favorite walls. If you like art this place is for you. This flower wall I'd seen all over instagram, unfortunately those pics were taken during better days as now it looks pretty weather worn. wow! I love color! 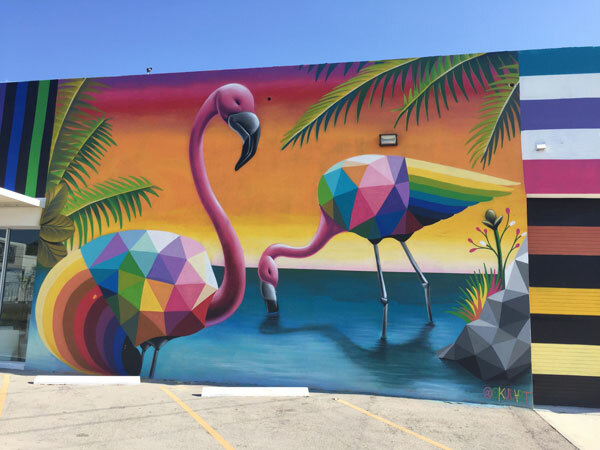 These murals are incredible! Wow! Awesome pictures...these are a delight for sore eyes.